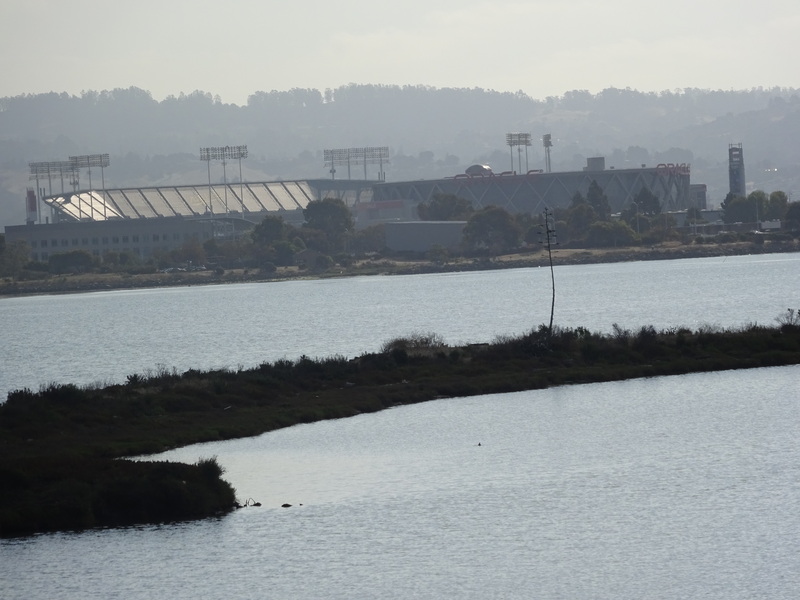 Ask most Bay Area tourists—even Bay Area residents—about Bay Farm Island, and they’ll look at you blankly. Alcatraz, Treasure Island, Yerba Buena Island, even Angel Island—all are fairly well known, if in diminishing order. 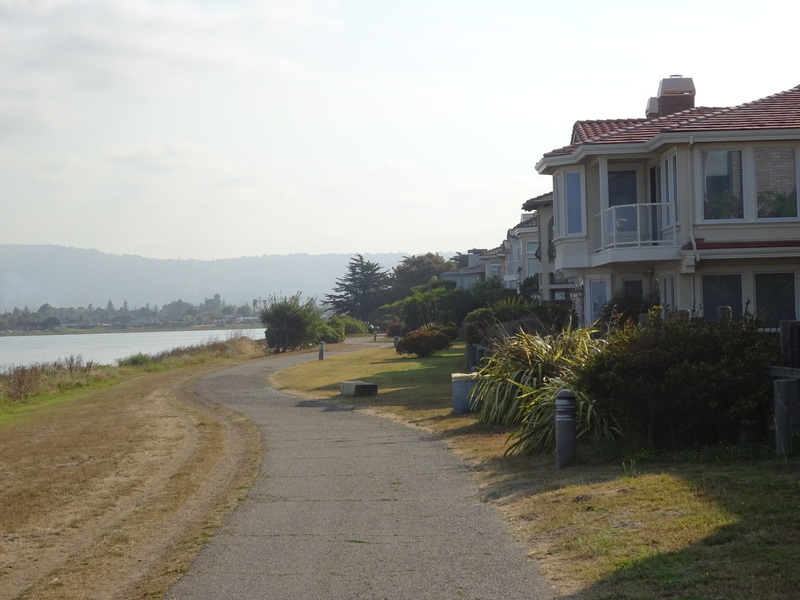 Longtime Bay Area residents are even apt to have set foot on most or all of these at least once or twice. 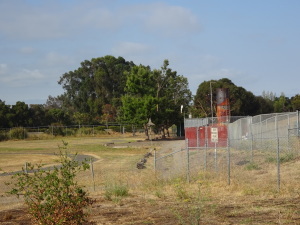 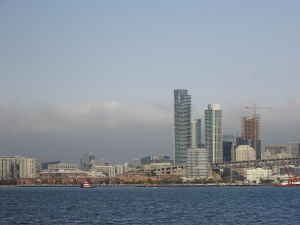 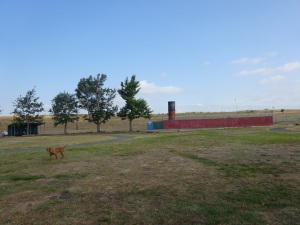 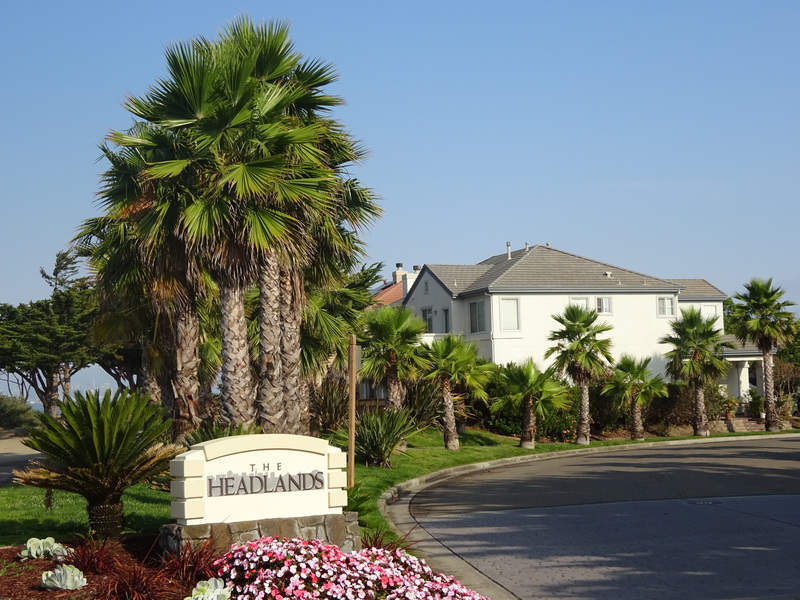 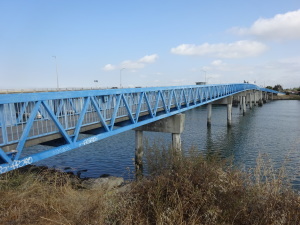 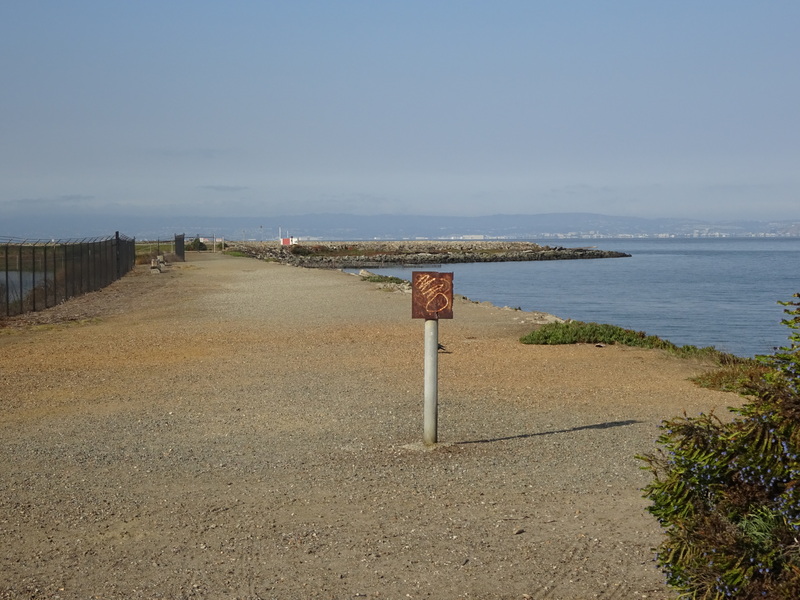 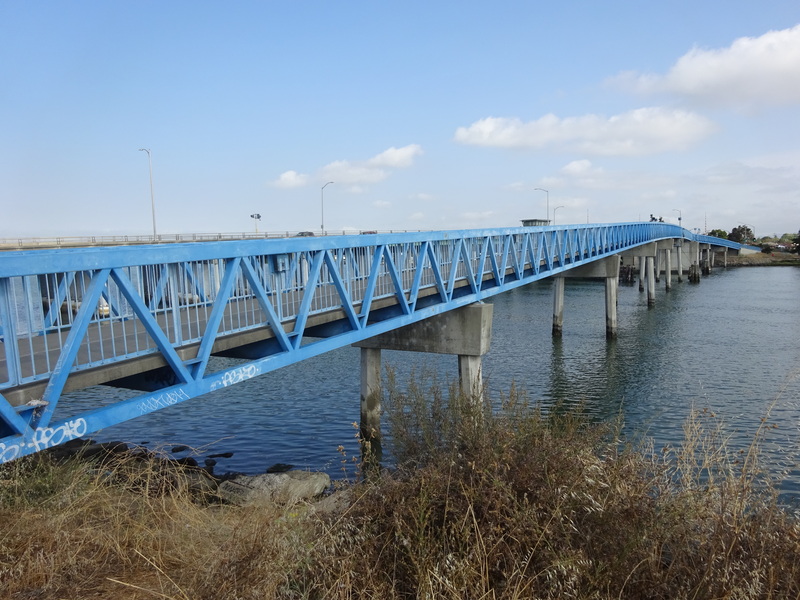 Most of them, however, are unaware of Bay Farm Island, which is just as accessible to San Francisco or Oakland as the others, and right next to Oakland. Biking the bayside trail on Bay Farm Island. 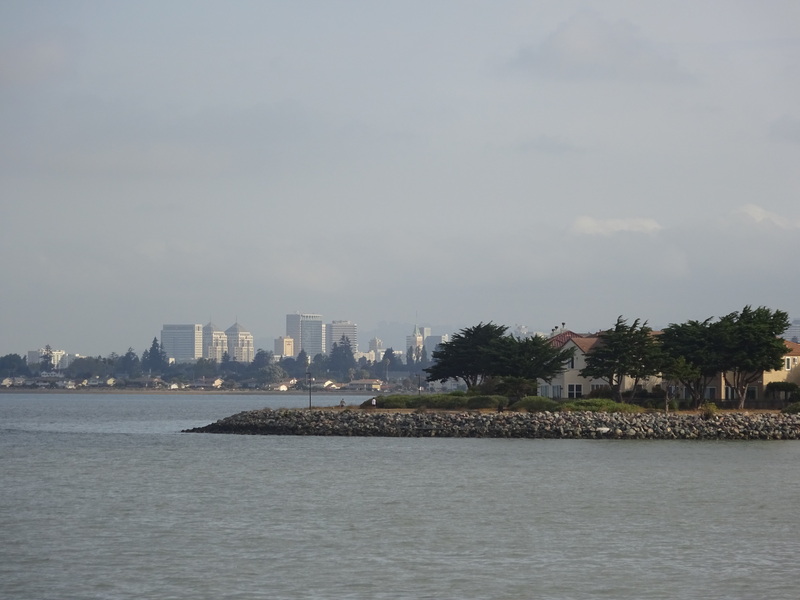 In part that’s because Bay Farm Island isn’t really an island, or a town of its own. 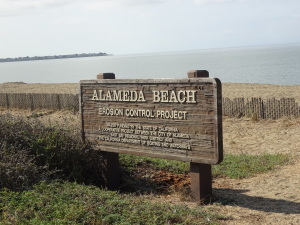 It’s technically part of Alameda, though it’s separated from most of Alameda by an estuary. 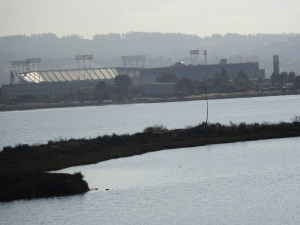 It used to be an island, but landfill has now connected it to Oakland, just north of the Oakland airport. Even less than Alameda, it’s seldom visited if you don’t live there or work nearby, even by Oakland inhabitants. 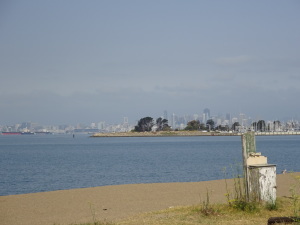 Bay Farm Island, with the San Francisco skyline in the background. 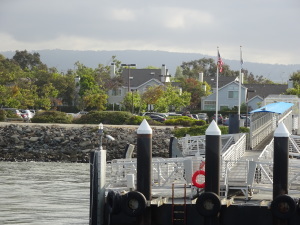 View from the ferry as you dock at Bay Farm Island. 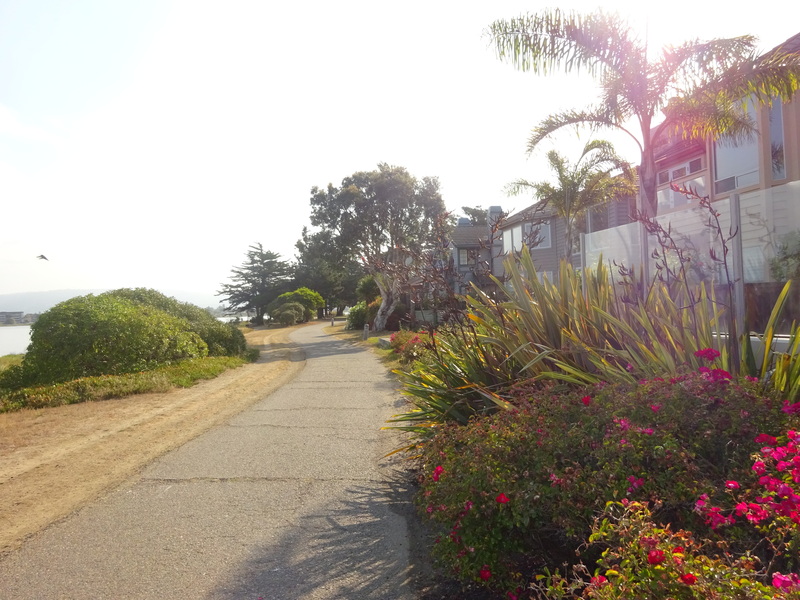 A trail around part of the “island”’s perimeter is nice for biking and walking, though it’s not too long. 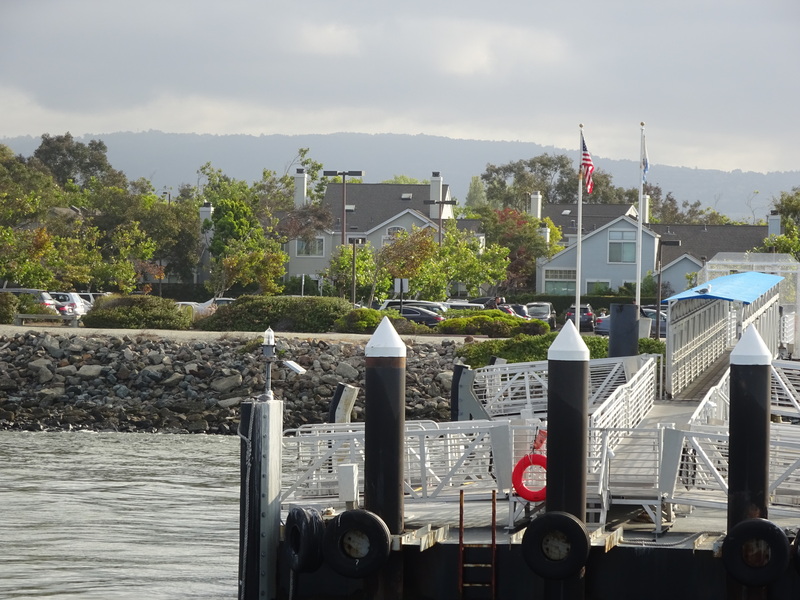 Part of the attraction for making an effort to take your bike there is using the ferry from downtown San Francisco, whose 25-minute ride goes to the southern tip of the path (only on weekdays and only in mornings and late afternoons, unfortunately). 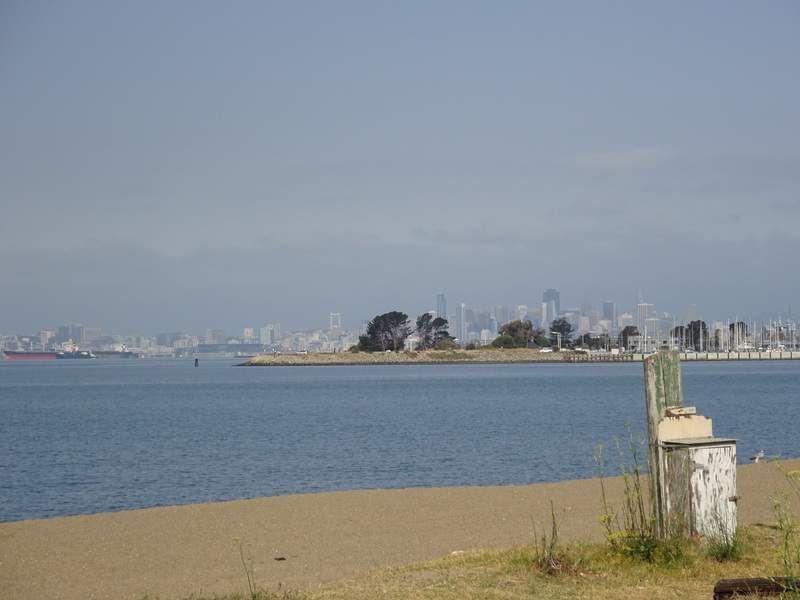 I’d biked to Bay Farm Island from Oakland a couple of times almost ten years ago, but took the ferry there for the first time when I brought my bike over in August. 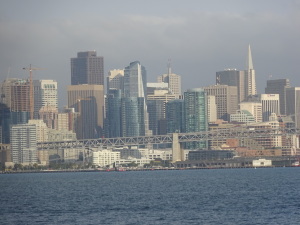 Views of the San Francisco skyline as you leave the city on the ferry to Bay Farm Island. 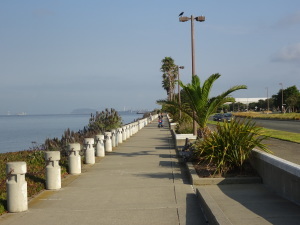 Bike/pedestrian path just south of the ferry. 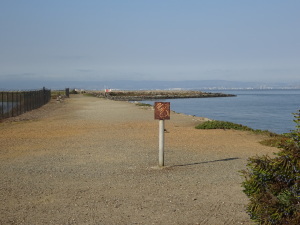 Desolate patch around where the path peters out. 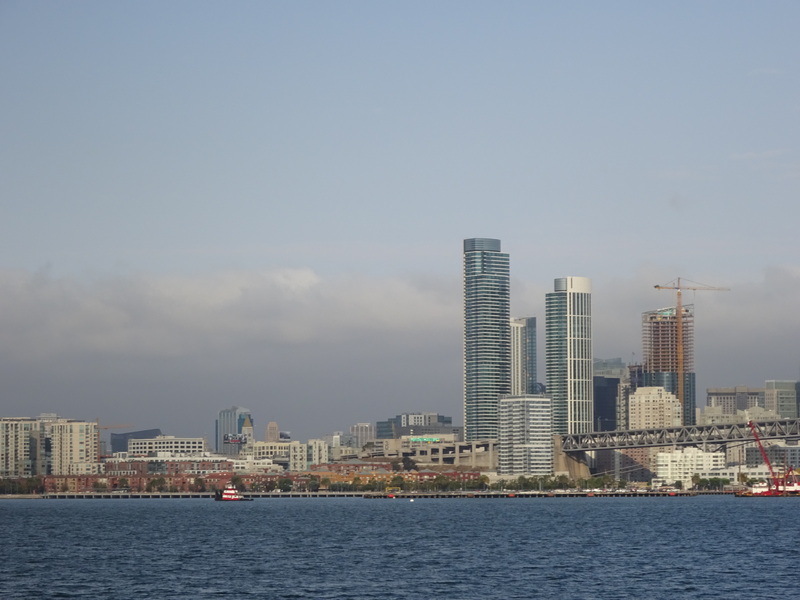 Unfortunately, as there’s no ferry service between mid-morning and late afternoon, you’ll have to get to a BART station to get back to San Francisco. 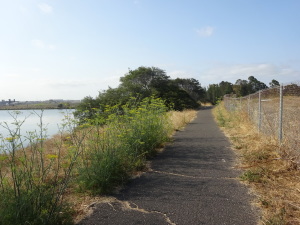 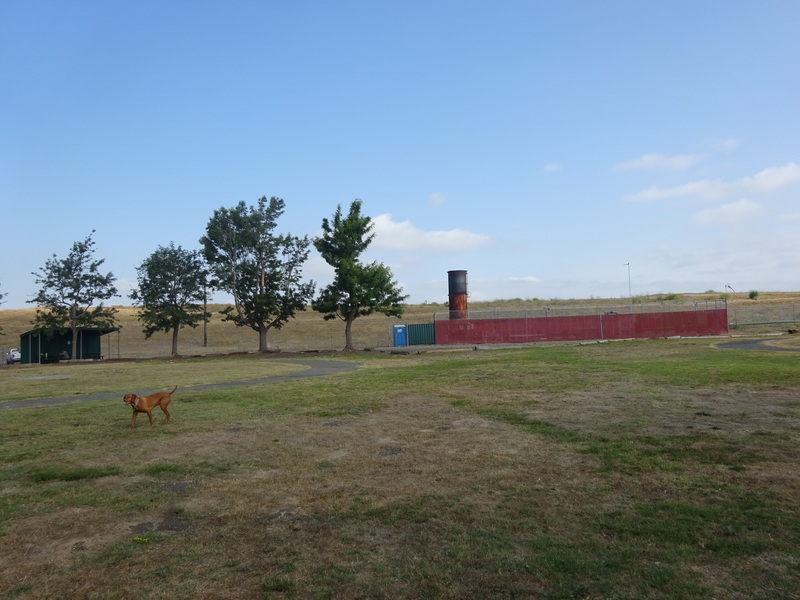 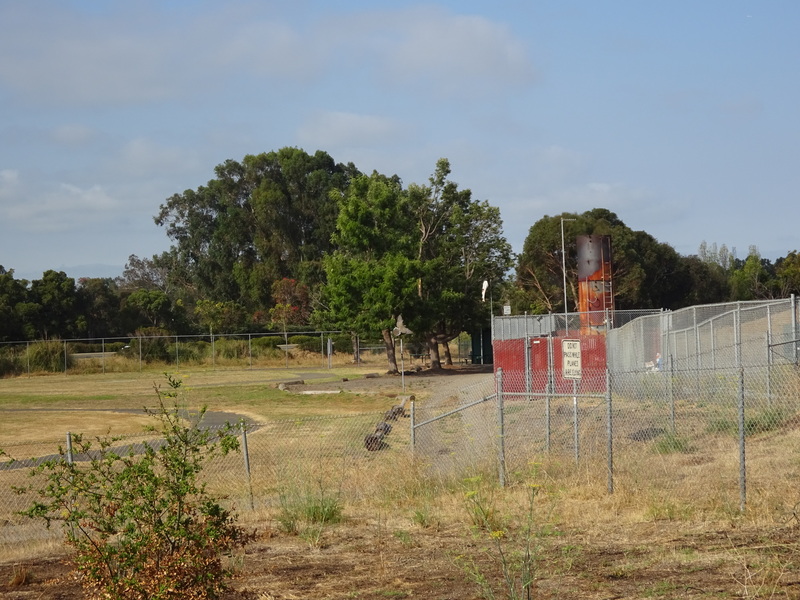 There are a few options, all of which run through heavily trafficked, drably industrial streets once you leave Alameda Island. The best, relatively speaking, might be taking the wide and fairly bike-friendly Broadway north from the beach, crossing back to Oakland over the Park Street Bridge, and going west on a frontage road until you reach the Jack London Square area in downtown Oakland. 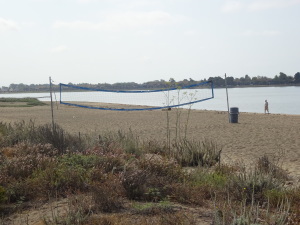 Volleyball court on Alameda Beach.